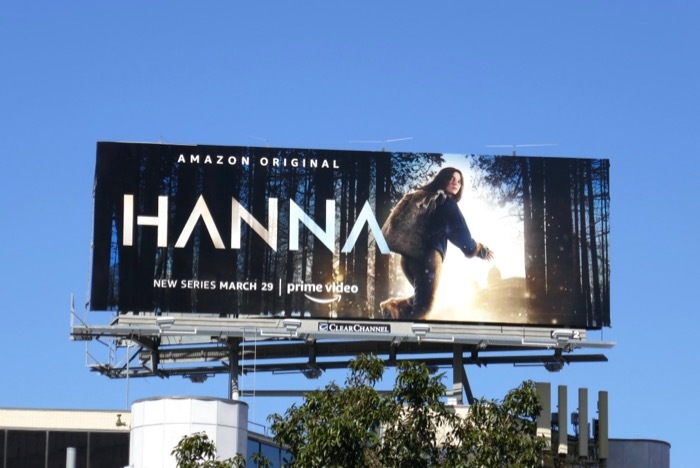 Following in the footsteps of its TV adaptation of the Jack Ryan film franchise, Amazon Prime is rebooting another movie for the small screen in the form of its new Hanna television series. 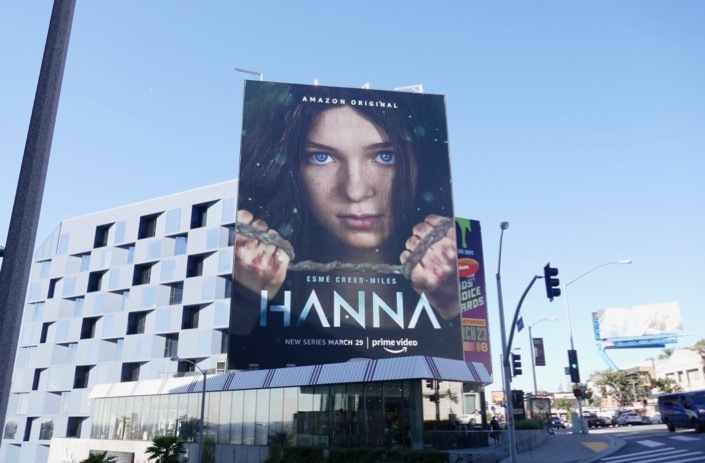 The original 2011 action-thriller directed by Joe Wright starred Saoirse Ronan as the titular teenager raised to be an assassin by an ex-CIA operative, and this time around Esmé Creed-Miles plays the young protagonist. 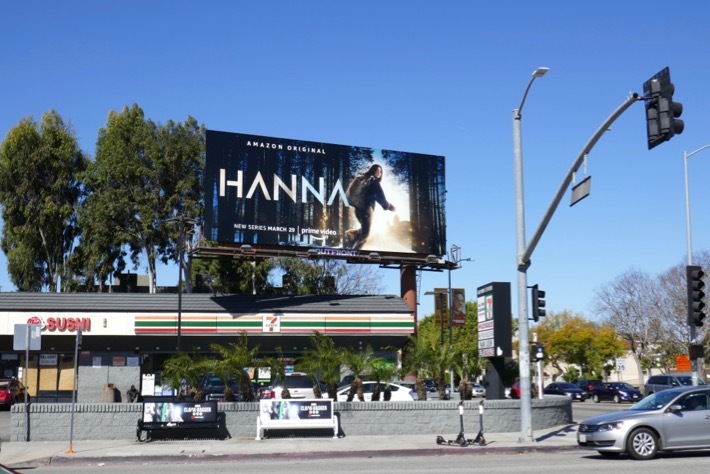 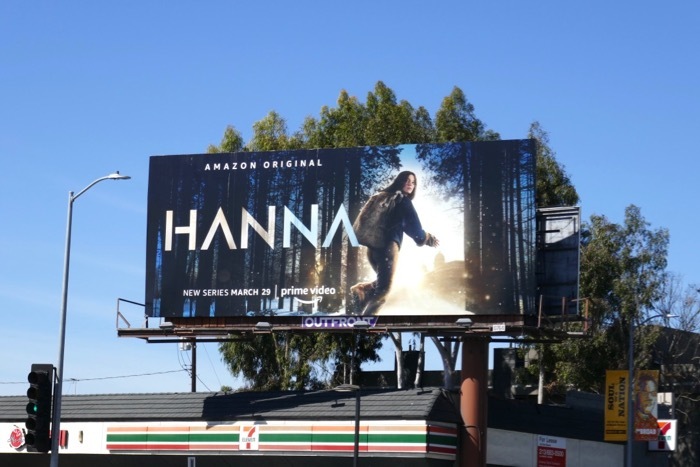 In this updated episodic version Hanna was recused as a baby from a covert Romanian facility by 'Erik Heller' (Joel Kinnaman) who has trained the girl to be an incredible hunter and killer in the forests of Poland. 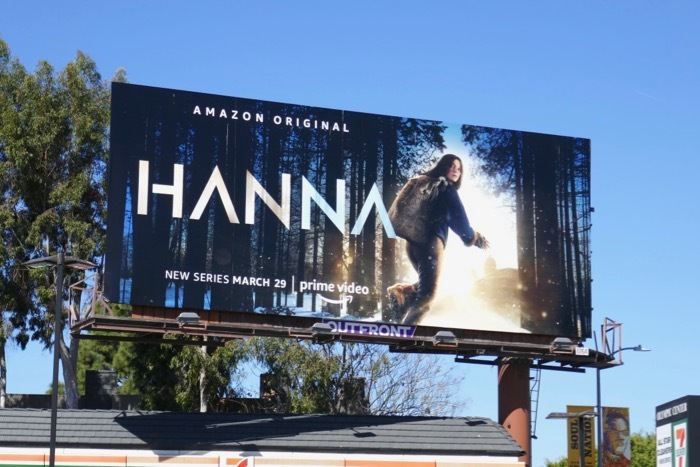 As a teenager when she lands on the radar of an off-book CIA agent named 'Marissa Wiegler' (played by Mireille Enos) who has pursued her since birth to learn the truth of who she is, she becomes the hunted. 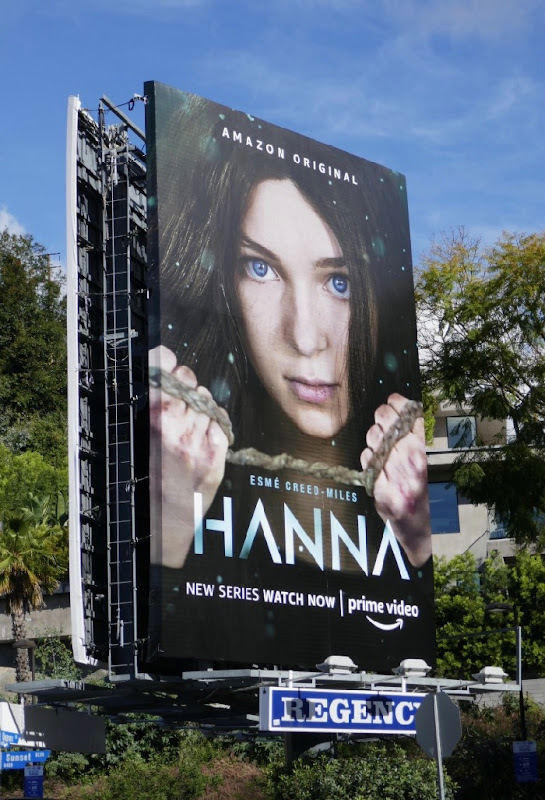 These series launch billboards were spotted along the Sunset Strip, San Vicente Boulevard and Olympic Boulevard from March 29 to April 5, 2019. 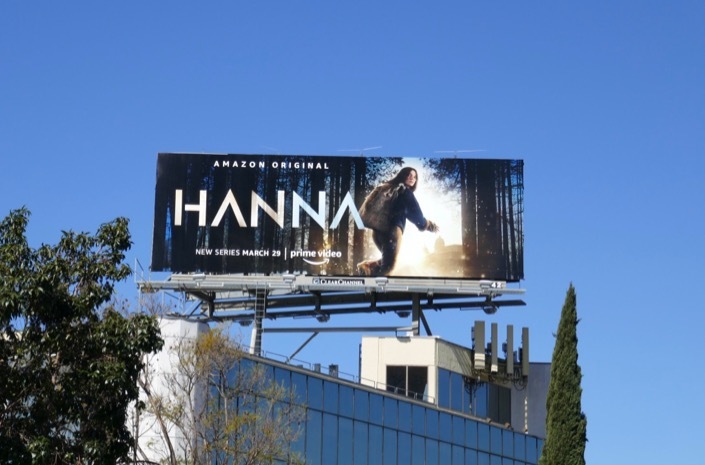 Fans of the original film can also check out these costumes and props from the movie Hanna on display. 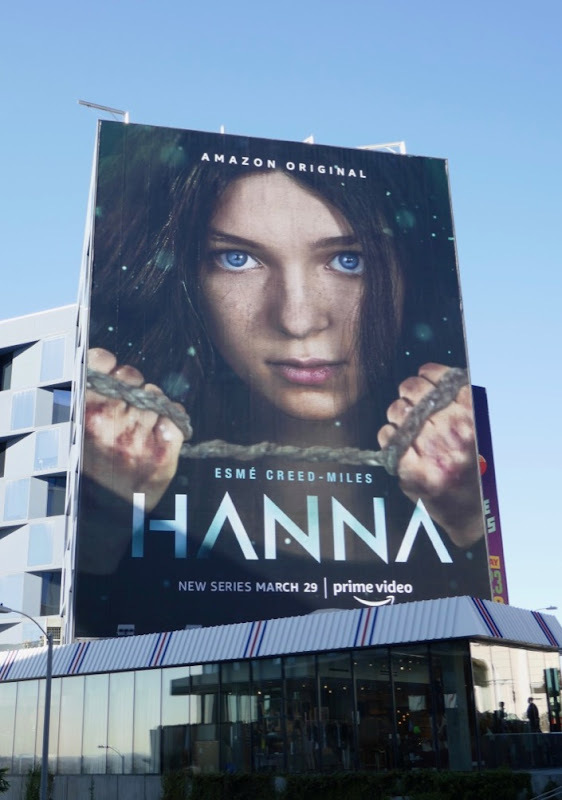 With Jack Ryan and Hanna in its stable of original series already, and a Lord of the Rings fantasy drama in the pipeline, it'll be interesting to see what other films will be targeted by Amazon to be remade for television next.